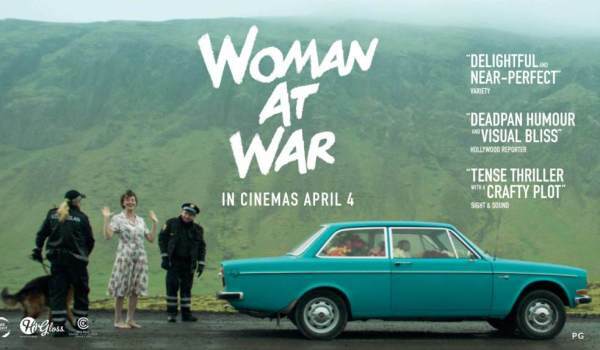 Waikato Times 4.5/5 Stars "A warm, witty, wise and absolutely endearing movie". NZ Herald "Delightfully odd... Frequently hilarious... Never loses sight of what is at stake"
As Halla’s actions grow bolder, from petty vandalism to outright industrial sabotage, she succeeds in pausing the negotiations between the Icelandic government and the corporation building a new aluminium smelter. But right as she begins planning her biggest and boldest operation yet, she receives an unexpected letter that changes everything. Her application to adopt a child has finally been accepted and there is a little girl waiting for her in Ukraine. As Halla prepares to abandon her role as saboteur and saviour of the Highlands to fulfill her dream of becoming a mother, she decides to plot one final attack to deal the aluminium industry a crippling blow.